Case one: the Savage Rapids Dam, Rogue River, OR. The Rogue River begins a 215-mile journey to the sea from Crater Lake, the remnant caldera from the eruption of Mt. Mazama in south central, Oregon. From Crater Lake the river snakes through Oregon’s lushly forested Cascade Range before heading through the Klamath Mountains and the Kalmiopsis Wilderness and onward to the Pacific Ocean. Between the two mountain ranges, the river passes US Interstate 5 near Grants Pass, a former timber town and the county seat of Southern Oregon’s Josephine County. It’s near this point where the river seemingly parallels I-5, at which a major salvo was fired in the 21st century’s first Pacific Northwest dam wars. The Savage Rapids Dam, one of four salmon-blocking dams once on the central Rogue River, was constructed in 1921 to hold back the Rogue for agricultural water diversions. Managed by the Grants Pass Irrigation District, the lake behind the dam at river mile 107 was as long as two and a half miles during irrigation season. Historically, agricultural producers relied on the Rogue River to irrigate row crops and livestock pastures. In parallel with forest products taken from surrounding federal land, agricultural production was a large component of the local economy for much of the 20th century. 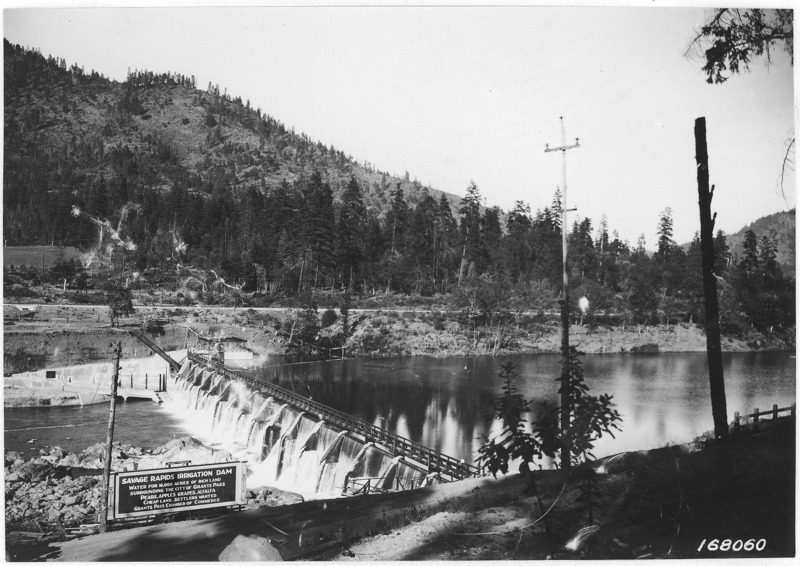 The dam, managed by the Bureau of Reclamation, was so integral to the success of the local agricultural producers that it was allowed to stand for nearly a century for water alone. The dam provided no additional benefits – no flood control, and no hydroelectric power generation. It also blocked migrating salmon, namely spring and fall Chinook, Coho and steelhead. The costs of maintaining the dam were largely born on the shoulders of the federal government, so many of the benefits were felt locally while the costs were born more broadly across the region and country. In the 1980s, as the economy of Grants Pass and nearby Medford shifted from ag and timber towards tourism and recreation, it became clear that the dam may be outliving its economic and political lifespan. In 1988, the Grants Pass Irrigation District made a request for the right to the State of Oregon for additional diversions from the river, drawing attention to the dam by the American Fisheries Society, WaterWatch and Rogue FlyFishers. The stakeholders agreed to a study of the dam and fish passage and water conservation alternatives. One of these options was total dam removal, and in 1994 the report concurred that this was indeed the best option. From the resulting study, the irrigation district was mandated to reduce water use, remove the dam and begin pumping water using a powerhouse. The fish ladders at the dam were very much outdated, and in 1997, while the irrigation district fought dam removal, the National Oceanic and Atmospheric Administration’s National Marine Fisheries Service (NOAA NMFS) listed the Rogue’s Coho salmon as threatened. When the irrigation district failed to submit a habitat conservation plan in 1998, NOAA NMFS began to play hardball and sued the district. As the century turned, the WaterWatch and other stakeholders were able to win a state court case that required the creation of a formal timeline for dam removal and the creation of a water right for salmon. Instrumental in this victory was a 1995 report that estimated that dam removal would allow $5,000,000 dollars in salmon (over 100,000 fish, a 22% increase over dammed runs) to return to the ocean. In 2002 the Oregon Watershed Enhancement Board put up $3,000,000 for dam removal, catalyzing congress to authorize the Bureau of Reclamation to remove the dam. At the time, both the water right transfer and the grant were some of the largest ever made in the United States to support dam removal for fisheries restoration. In 2009 after several more years of planning, the dam came down, opening up an additional fifty river miles for salmon spawning on the mainstem Rogue and an estimated additional 400 miles in tributaries. Bringing it down. Savage Rapids Dam June 2009. Photo borrowed from the internet. Sediment stored behind the dam. Photo: US Bureau of Reclamation. The Savage Rapids Dam has been estimated to be a huge ecological success. More importantly, this dam removal project, in twenty short years from discussion to destruction, began to change the way that an entire region considered dam removal. After a contentious political fight, the Savage Rapids dam came down, and with it, three other smaller dams, the Gold Hill, the Gold Ray, and the Elk Creek Dams. These dams may have eventually been removed due to lawsuits and top-down legislation, but it is just as likely that these dams’ stakeholders saw the paradigm of resistance and lawsuits that swelled downstream, and went forward with dam removal much more proactively. 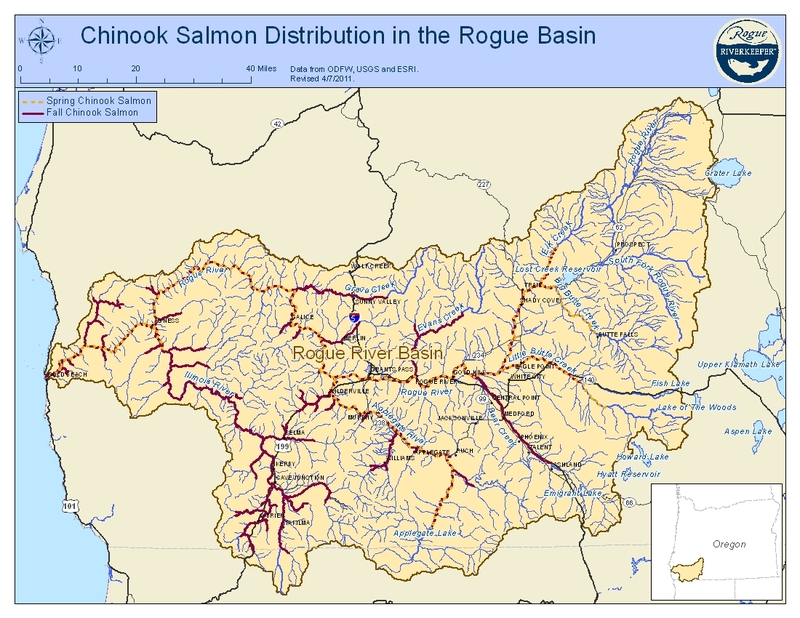 The watershed-wide increase in spawning habitat and sediment delivery has largely restored the processes limiting salmon recruitment and spawning returns. Additional Reading: Blumm, MC and AB Erickson. 2012. Dam Removal in the Pacific Northwest: Lessons for the Nation. Environmental Law 42. Tullos, D., Tilt, B. and Reidy, C. 2008. Understanding and Linking the Biophysical, Socioeconomic and Geopolitical Effects of Dams. Journal of Environmental Management 90. This entry was posted in Ecology, Fish, Restoration Ecology, Riparian Ecology, River Ecosystems, Water Conservation and tagged Bureau of Reclamation, Dam Removal, Dams, Nate Hough-Snee, Oregon, River Restoration, Rogue River, Salmon Restoration, Shifting Baselines by Nate Hough-Snee. Bookmark the permalink. It's all about them sedge-n-willers. I’m psyched to see people talking about Savage Rapids. Do you have any links to estimates of the removal’s ecological success? I know that there were chinook spawning in the reservoir after the dam came out, and I’ve heard some accounts of earlier arrivals at Cole Rivers, but is there anything more concrete? On a separate note, I think it would be great to emphasize that the Irrigation District and the other stakeholders went through mediation as the issue moved through federal court, signing a consent decree with the other stakeholders after district patrons voted in favor of dam removal. The Grants Pass community had broadly been against removal, but the patrons of the district didn’t want to keep paying to extend the fight. They could see that the ESA case wasn’t looking good for them, but in the end nobody had to feel like they lost…partly because most of the ~$39 million for dam removal was appropriated by congress. It’s an interesting case. How did you decide to look at Savage, Condit, and Elwha? Peter, I picked three dams for very different reasons. I picked Savage Rapids in particular because it was a long, contentious negotiation process that eventually led to the removal of the dam. In my estimation, it was also an early dam to be mandated for removal, helping to break open the paradigm of dam removal rather than just dam retrofitting and fish ladder improvements. The Savage Rapids Dam was also created for agriculture and was not nearly as economically complex as the big dams on the Snake and Columbia, or even the PacifCorp-owned Condit Dam. The things that these three case studies have in common, are that the dams were blocking fish passage, were created for one economic reason or another, and they all eventually came down as social, economic and biological policy paradigms shifted. I admit that I am simplifying the stories in an attempt to concisely survey three very different dams that have been removed in the Pacific Northwest. If you have any corrections or addendums as I go through the case studies, please feel free to contribute them. As for ecological results of removals, I intend to create a brief annotated bibliography that will run at the end of the series. You may be familiar with the studies from NOAA NMFS and others, but if you know of any humdingers in the scientific literature, please drop me an email. Hi Nate. Sorry to reply a little late. It’s cool that you picked those dams for that reason – I picked my case studies (Savage, Elwha, and Marmot)(I’m doing my dissertation on dam removal politics and ecology) with similar parameters. I haven’t seen all that many things on ecological results in the scientific literature from the scale of dams like Condit or Savage. Most of what’s out there is for smaller dams in the east or midwest, like Bushaw-Newton (2002). There are also some geology/hydrology studies, like Burroughs (2009). I expect that there’ll be some good stuff coming out of these larger removals in coming years. Desiree Tullos’ lab at Oregon State is doing work on the Rogue, for example. The problem is that it’s hard to put together the kind of multidisciplinary long-term monitoring that the projects need. Hopefully there’ll be more as dam removal becomes higher-profile.